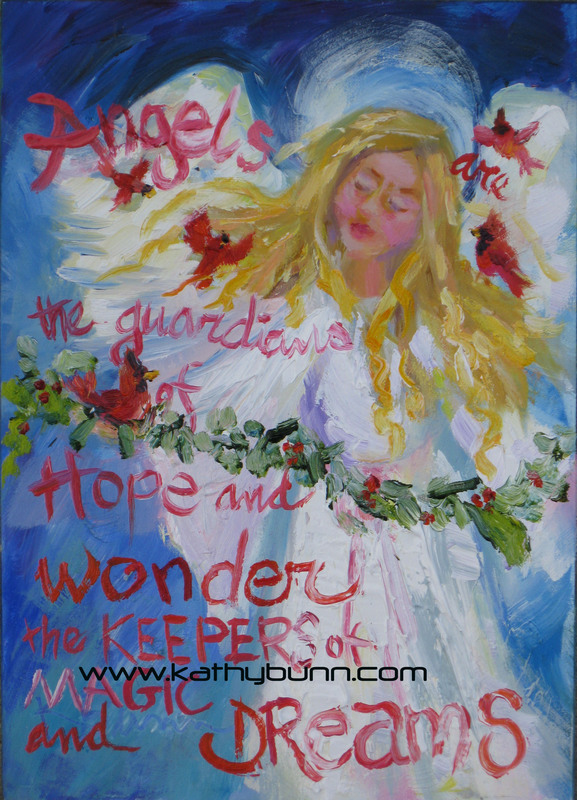 The twelfth angel , “My Friend”, in The Twelve Days of Angel has a special “friend” text suggested by Karen Pope. 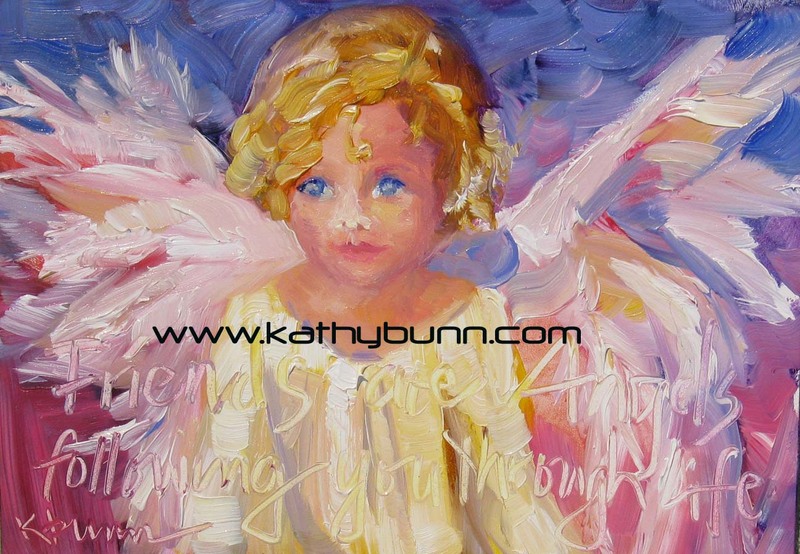 Karen told me that this painting w/text reminded her of our real angel in heaven, Stacy. It is my pleasure to paint, actually it is my passion and when someone makes a connection with my paintings I am delighted. 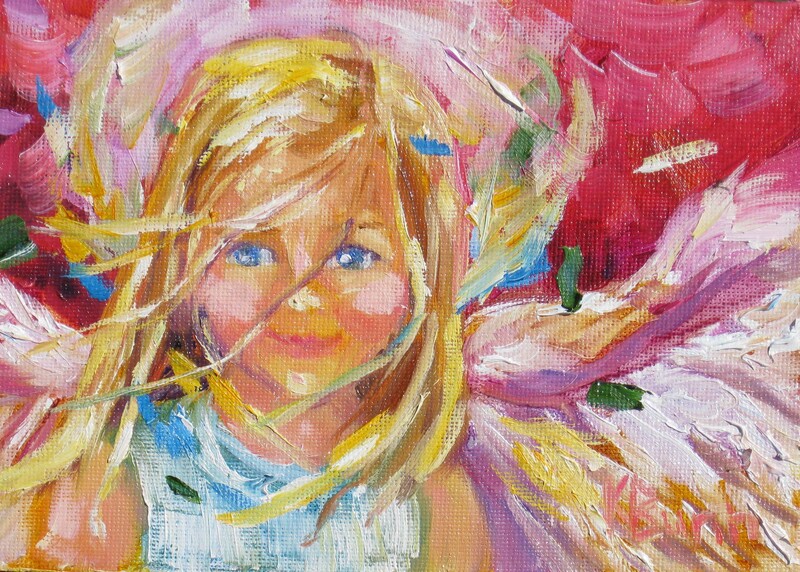 Some of my angels were inspired from real photos and some just came to me……….as angels do. Join me today as I paint at the sweet little shop, Smellie Bloomers in Elizabethtown (I’ll be out back painting, but my angels are nestled sweetly in the shop). Food, prizes, angel print give away, Christmas decorations, beautiful wreaths, jewelry and of course ANGELS will be there waiting for you to come by….check us out from 2:00-6:00 pm. Thanks to my sister-in-law for sending me a photo of a little boy named Nolan, I really enjoyed painting his expression. You can see this eleventh angel in The Twelve Days of Angels at Smellie Bloomers tomorrow from 2:00-6:00 pm. Come by and see me! 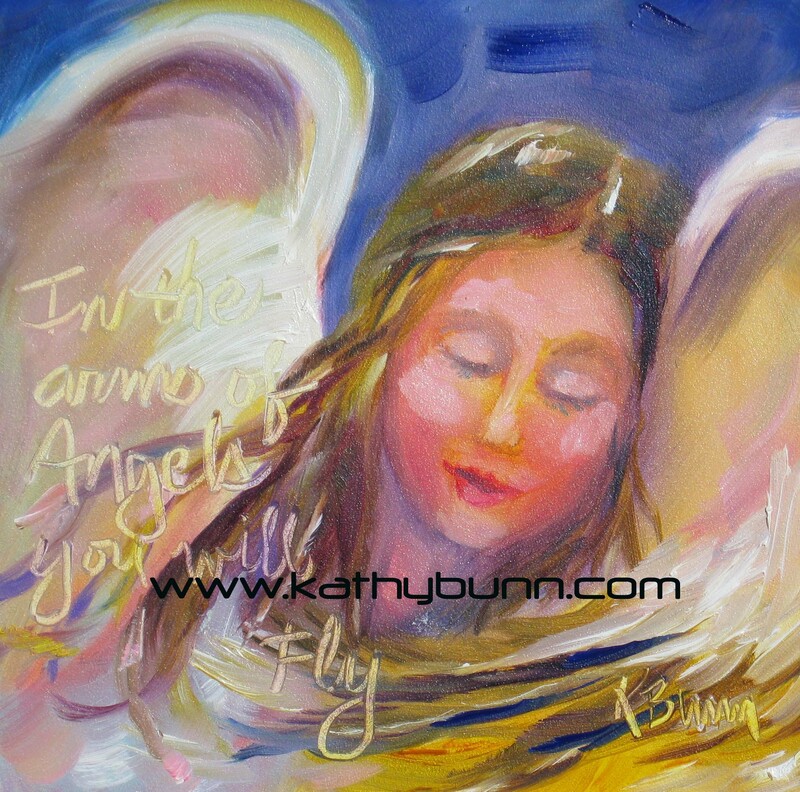 I will have Christmas cards of my angels, prints and of course MORE! This stringy-blonde blue eyed angel loves to sing, her name is “Noel” and she is the tenth angel in The Twelve Days of Angels. You will find “Noel” at Smellie Bloomers, a unique gift shop in Elizabethtown, NC this Sunday at their Christmas Open House. 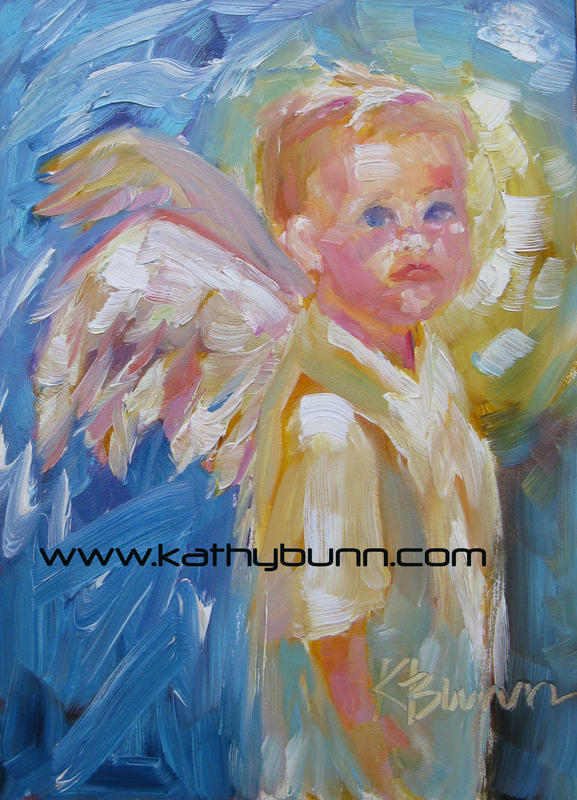 Christmas cards and prints will also be available, come see me and register to win a free angel print. 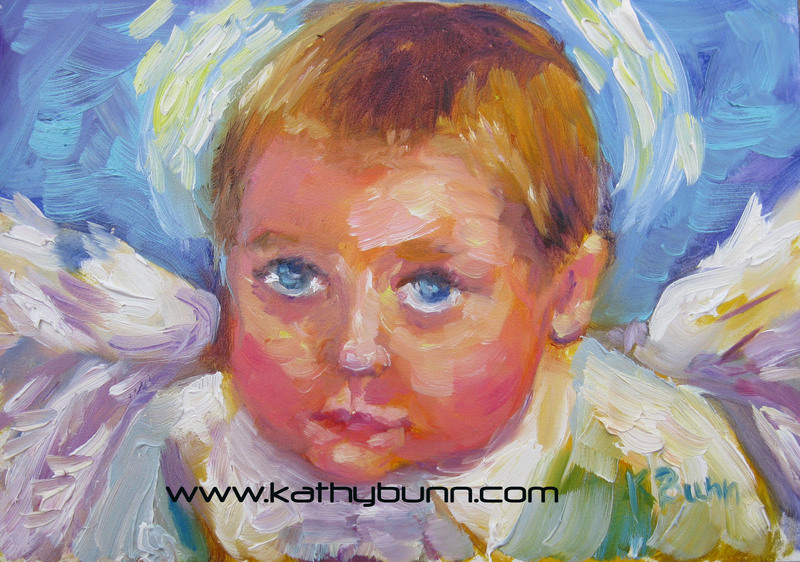 Oh what fun I had painting this little angel. When friends suggested they would like to see some boy angels, I found a photo of this cutie pie little boy on Facebook and couldn’t take my eyes away from his sweet cheeks. “Bryce” is 5″x7″ oil on ampersand panel and is the seventh angel in my Twelve Days of Angels. “Love” is the sixth angel in The Twelve Days of Angels. 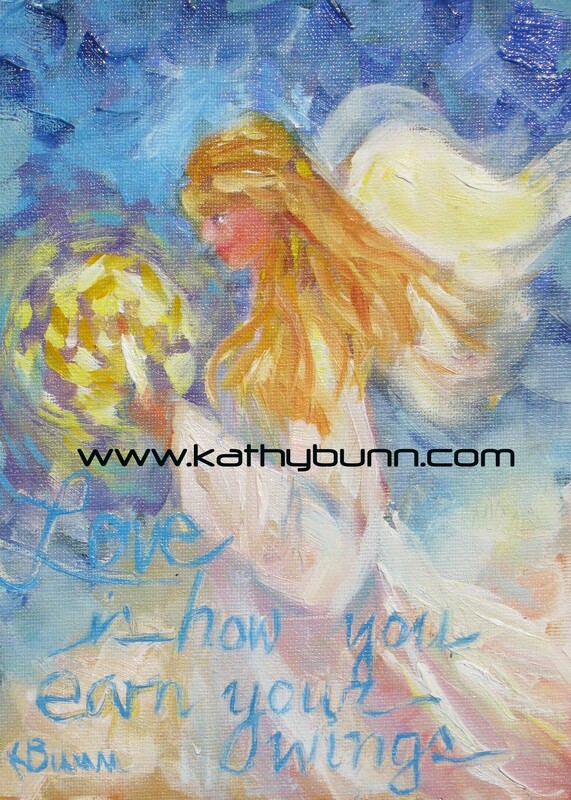 Here’s a delightful fluttery angel with painted text, “Love is how you earn your wings.” This quote was submitted by my friend Joy, thanks so much Joy. “Love” is what comes to mind when I think of angels. What about you?